Prime Minister Cao Cao after conquered the Northern China wanted to conquer the Southern China. Two leaders, Liu Bei and Sun Quan, arised against Cao Cao's tyranny. Cao Cao brought 240,000 soldiers to fight the battle against the ally of Liu Bei and Sun Quan, which had only 50,000 soldiers. 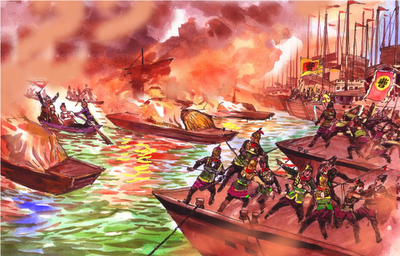 For Cao Cao’s army to attack the enemy, they must sail across a river. Since most of the soldiers from the north was unused to battling on the ships and having seasick, they set up the camps next to the river bank and doing their training. The ally strategist, Zhou Yu, thought of a way to exploit this weakness of Cao Cao’s army. Zhou Yu idea was to attack the Cao Cao’s battle ships by fire. But, he also knew that it was impossible to burn up most of the ships as they can sail away easily. How did Zhou Yu prevent Cao Cao from CUTTING LOST during the fire attack?? "Click on the chart to Zoom-In"
So. What do you think about his comment? I would say that this professor had not done his home work properly, and thus comparing an Apple to an Orange! The Mutual Fund Mangers, by law, are supposed to be fully invested with the fund under their management. They can "Rotate" their fund among various sectors, but are not allow to hold cash over a period of time. 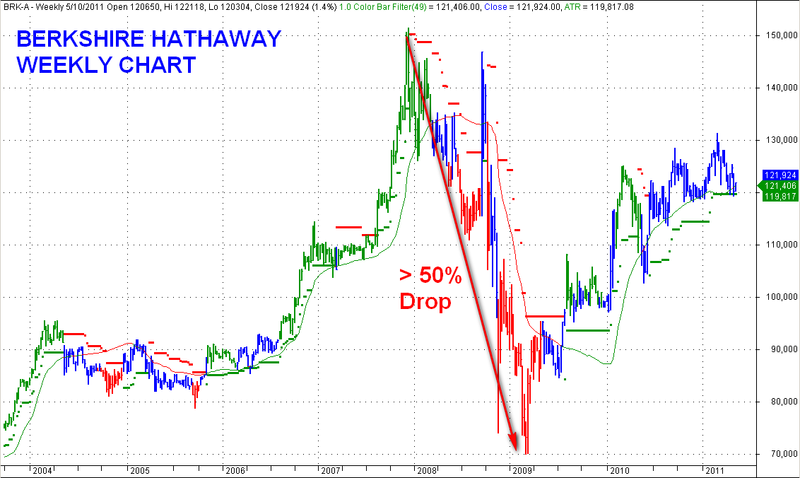 Therefore, by law, they cannot CUT LOSS even if they know the market will continue to fall for a period of time. This law is necessary for the stability of the market... Imagine that if all big fund managers are pulling out their investment due to economy crisis, no one can know how deep the market can go. So, one must realize that the main goal of a fund manager is aiming at beat the market, and not to make money for the clients. They make money by charging the clients for managing their money, not by how much they generate the profit from the fund. BUT, on the other hand, as a individual investor/trader. There is NO LAW restricting you from cutting lost or even going short. Thus, I say that many commentators appear on the TV do not know what are they talking about. These tell us that... It is not that the bigger organization can always eat the smaller, it is the faster can eat the slower. 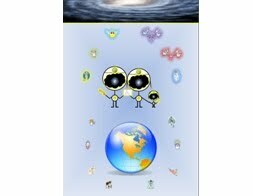 1) It is much easier to gain back the lost while it is cut at small percentage. 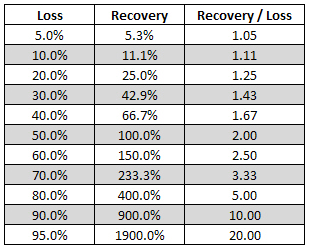 The following table show a Recovery/Loss Ratio. 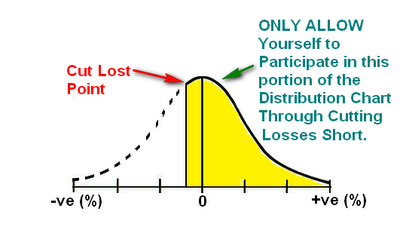 When the lost is cut less than 10%, it can be recover with about the same amount of gain in percentage. BUT, if one were to let the lost grow bigger, say 50%... then he need to gain 100% just to recover... With even bigger lost, the chances to recover are getting smaller! 2) Allow Yourself to Participate ONLY on the Up Trend Market. The following show the S&P500 returns and it normal distribution over the year of 1926 - 2008. This is the kind of chart you can find in any Quantitative Analysis books on the stock market that shows the probability of win and loss in buying a stock over a period of time.